These side hustles can be done as part of your normal routine! Don't waste your time with surveys...find out the secret to acutally making money with surveys! Earn $10 - $20 per hour with these jobs! If you have an eagle eye for spelling errors, grammar errors, etc. these jobs are for you! Start a business from home. Check out these awesome ideas! You can blog about ANYTHING! Find out how other moms are doing it! Read these interviews of moms who have taken the leap to start work at home jobs earn side cash to full time careers! Your FREE Mom Boss Toolkit is on it's way to your email NOW! In the mean time, check out this special offer created just for you! 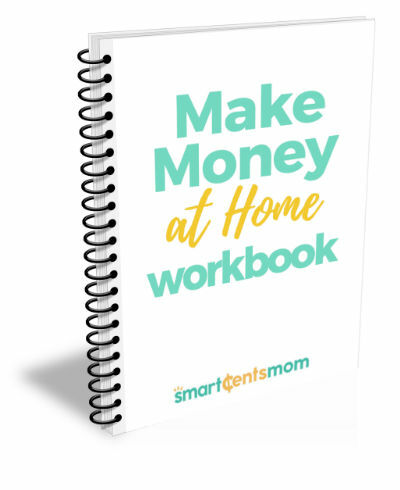 The Make Money at Home Workbook only $7! That's 70% off! Do you find yourself wondering How to get started working from home? Have you ever thought...I want to make a change! The Make Money at Home Workbook is designed to help you overcome the most common set backs that keep people from finding a REAL work from home job.